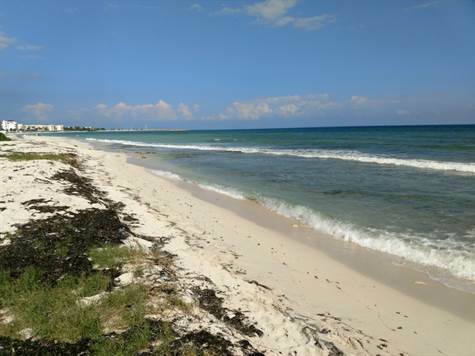 This incredible beach front lot is located just south of Puerto Morelos. Private location and beautiful sandy beaches. The perfect space for a private home or boutique hotel. 2 lots for sale, each 1000m2 beach front lot. $2,000,000 a piece or $4,000,000 USD combined.